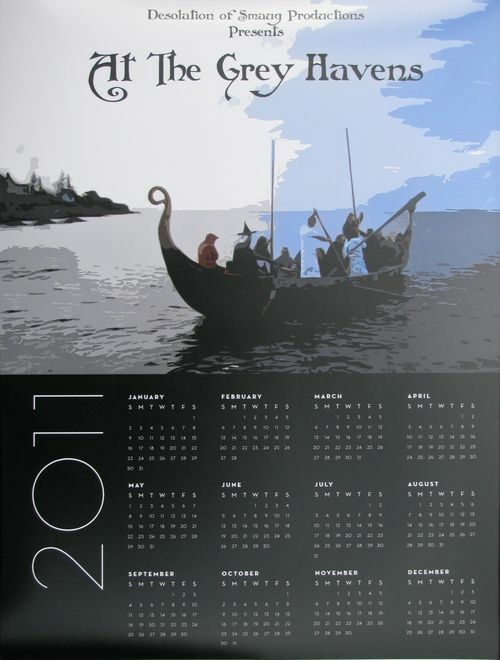 These calendars were "discovered" after a chance encounter (albeit a virtual one via this website) with Dan Smith. 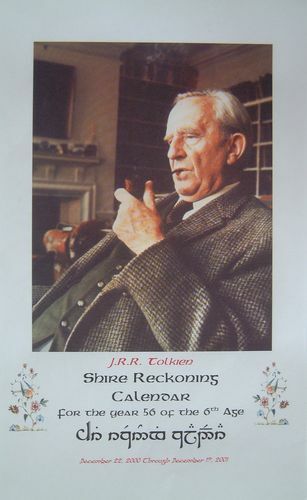 Many thanks to Dan for contacting me and letting the world know of these gems! 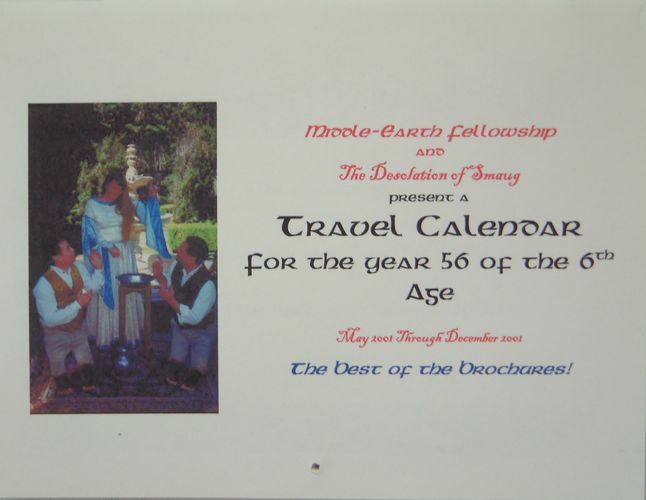 Read about MEF. 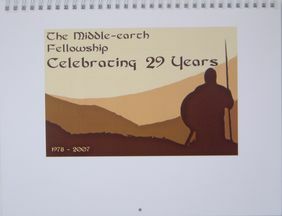 The group celebrated its 30th anniversary in 2008. 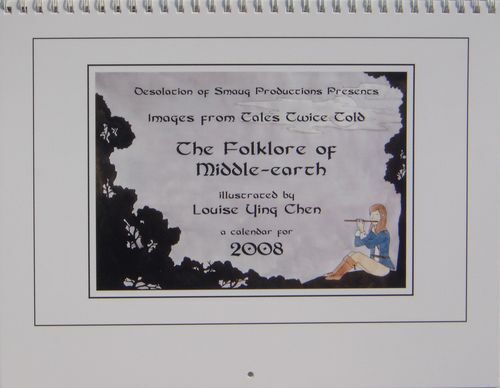 “Middle-earth Fellowship 25th Anniversary Calendar for the year 57 of the 6th Age January 1 through December 31, 2002” Photographs from The Lord of the Rings. 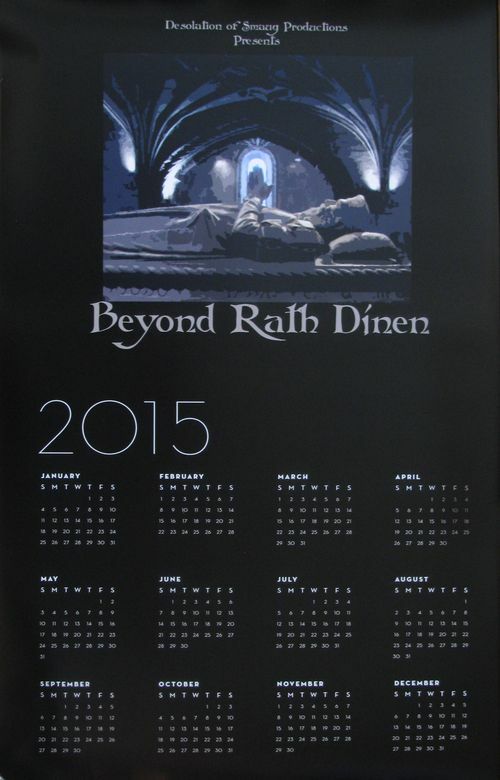 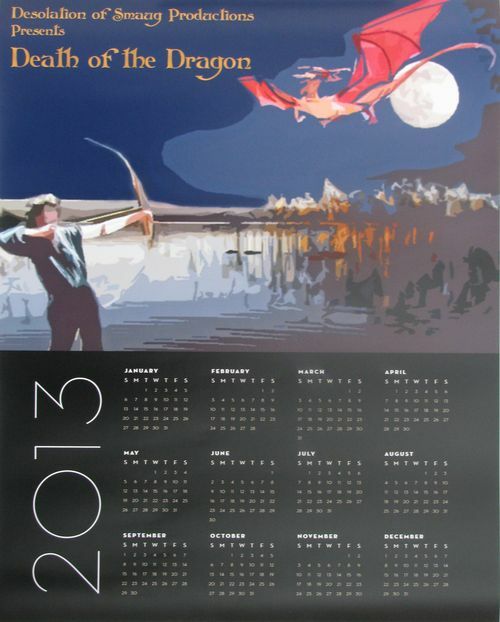 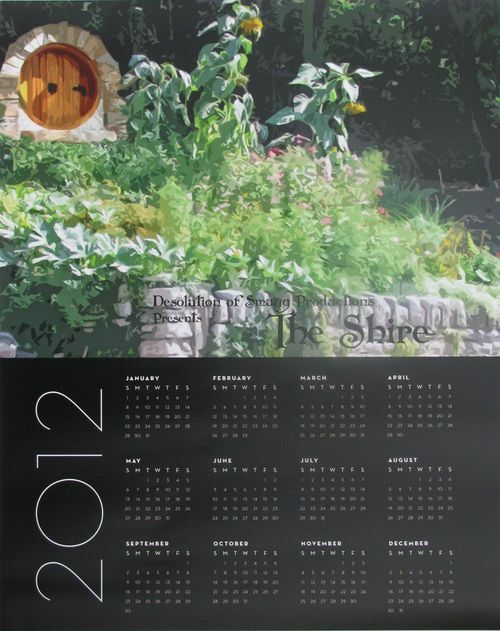 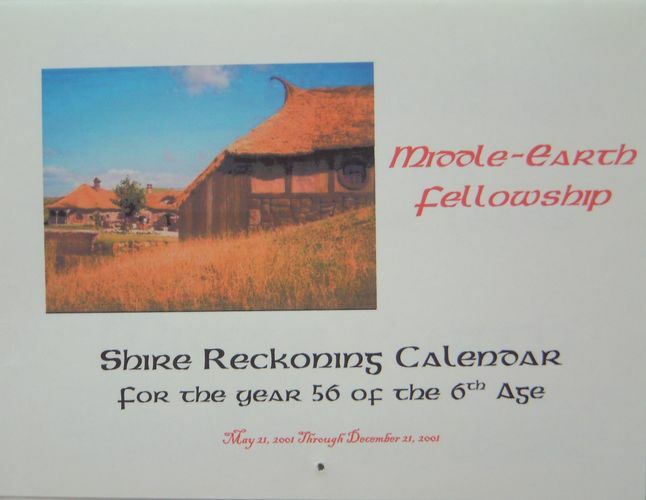 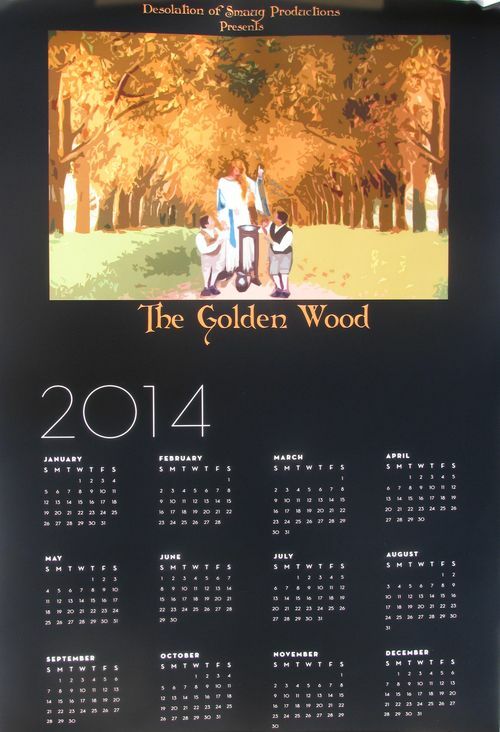 Shire reckoning calendar with Gregorian dates added. 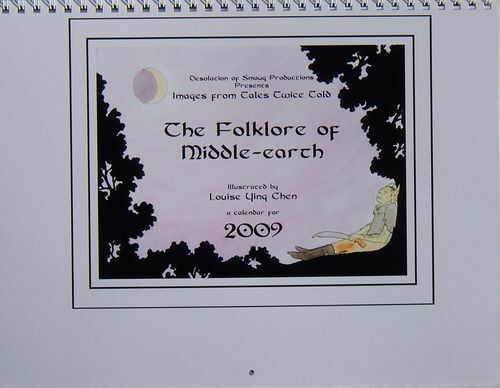 Dimensions: 11 x 17 inches (w x h); spiral bound; heavy card stock paper. 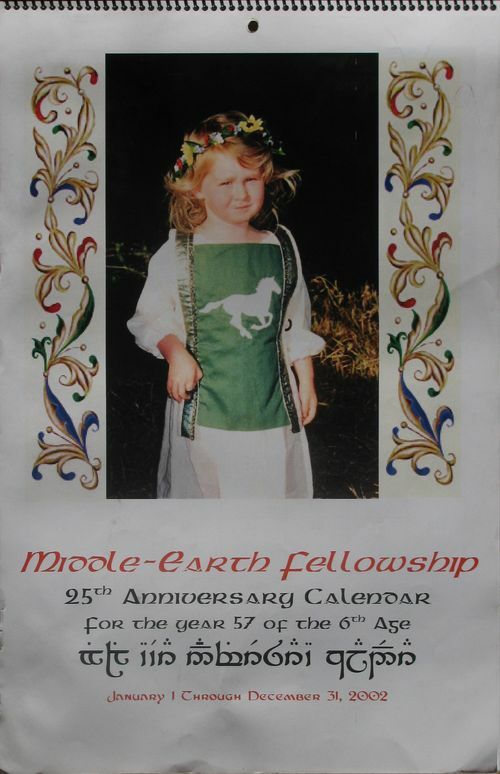 “The Middle-earth Fellowship Celebrating 29 Years” Modified photographs by/of members representing various scenes from The Lord of the Rings. 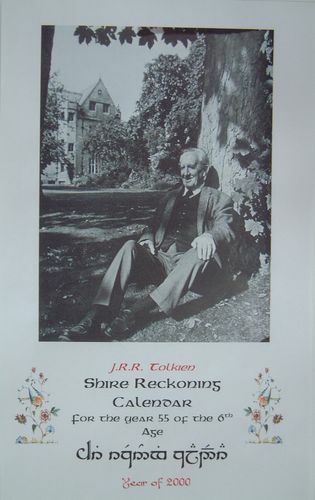 Dimensions: 11 x 8½ inches (w x h); white wire bound. 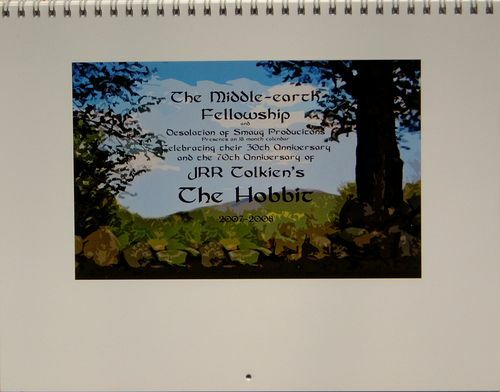 “The Middle-earth Fellowship and Desolation of Smaug Producitons Presents an 18 Month Calendar Celebrating their 30th Anniversary and the 70th Anniversary of JRR Tolkien's The Hobbit 2007 - 2008” Modified photographs by/of members representing various scenes from The Hobbit. 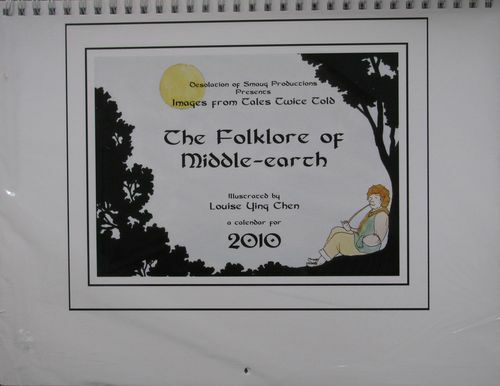 Dimensions: 11 x 8½ inches (w x h); white wire bound.